In 1957 the Soviet Union launched Sputnik I, a tiny satellite which started the Space Race in earnest. John F. Kennedy announced in May 1961 that the USA should land a man on the moon in the next decade, an ambition realised in July 1969 when Apollo 11 landed on the moon and Armstrong, Aldrin and Collins walked on the lunar surface. 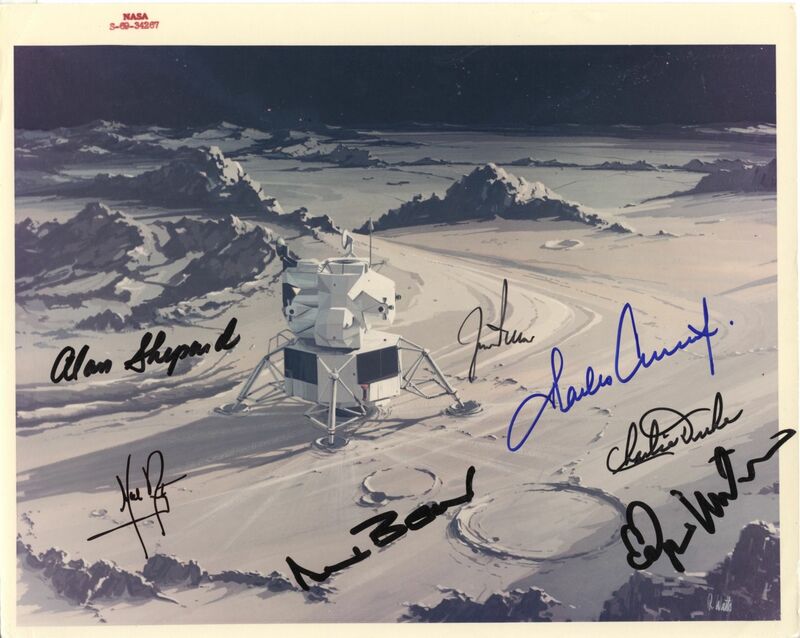 This is an extraordinary collection of signatures of the majority of the men who walked on the moon&apos;s surface.